I’m pretty much contractually obligated to post all Wizard of Oz or Alice in Wonderland references I run across. It’s like a rule… or something. So I present “The Wizard of Ahhhs”… which is actually quite nice, and doesn’t really feel like an obligation at all. The video features five person a cappella group Pentatonix. And the presenter is Todrix Hall who has a virtual ton of videos on his YouTube channel Toddy’s World to watch. Seriously, be careful when you click, you could get lost up in there for hours. Best to grab a snack and some liquids before you set off. Stretch first and make sure to let somebody know where you are, you know, just in case. Now what was I saying? Hmm. 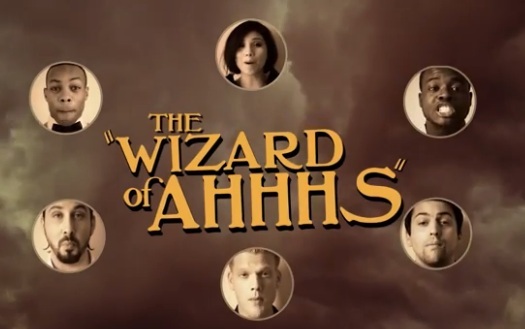 Oh yeah “The Wizard of Ahhs”… enjoy!